Information on details of the offer and how to claim the offer form part of these Terms and Conditions. Participation in this offer is deemed acceptance of these Terms and Conditions. The promoter is ULTIMATE FOOTBALL PTY LTD (ABN 94164721340) of 4, 72 St Marks Road, Randwick NSW 2013 (“Promoter”). Individuals under 18 years old must have parental/guardian approval to enter and further, the parent/guardian of the participant must read and consent to these Terms and Conditions. Parents/guardians may be required by the Promoter to enter into a further agreement as evidence of consent to the minor participating in this promotional offer. Employees (and their immediate families) of the Promoter and agencies associated with this offer are ineligible to obtain the offer. Immediate family means any of the following: spouse, ex-spouse, de-facto spouse, child or step-child (whether natural or by adoption), parent, step-parent, grandparent, step-grandparent, uncle, aunt, niece, nephew, brother, sister, step-brother, step-sister or 1st cousin. Offer commences on 11th January 2016 and ends at 11.59pm AEST on 28th February 2016 or once 50 league teams have registered (“Offer Period”). To receive free (i.e. no payment required for the $150 rebel Voucher), a person must, during the Offer Period, fully complete and submit the relevant registration form for a league team at www.ultimatesoccer.com.au and then complete the full league season. Credit card details must be provided at the time of registration. All league fixtures must be paid for whether played or cancelled. 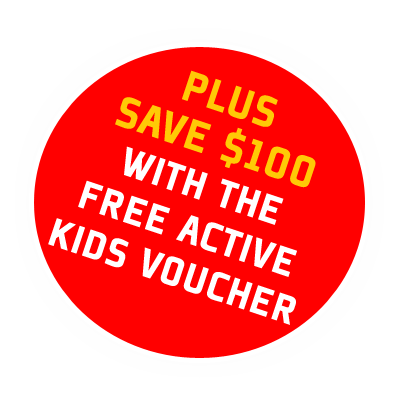 Offer only applies to league registrations only at the Ultimate Soccer fields at Fairfield High School, 405 The Horsley Drive, Fairfield and the offer is only valid for competitions starting in January 2016. All registartions are subject to availability. Maximum of one ($150) rebel voucher per team captain. The Promoter reserves the right, at any time, to verify the validity of registrations/bookings and participants (including a participant’s identity, age and place of residence) and reserves the right, in its sole discretion, to disqualify any individual who the Promoter has reason to believe has breached any of these Terms and Conditions, tampered with the registration/booking process or engaged in any unlawful or other improper misconduct calculated to jeopardise fair and proper conduct of the promotional offer. Errors and omissions may be accepted at the Promoter’s discretion. Failure by the Promoter to enforce any of its rights at any stage does not constitute a waiver of those rights. The Promoter’s legal rights to recover damages or other compensation from such an offender are reserved. Incomplete, indecipherable, inaudible or illegible registrations/bookings will be deemed ineligible for the offer. League registrations are not transferable or exchangeable. If this promotional offer is interfered with in any way or is not capable of being conducted as reasonably anticipated due to any reason beyond the reasonable control of the Promoter, including but not limited to technical difficulties, unauthorised intervention or fraud, the Promoter reserves the right, in its sole discretion, to the fullest extent permitted by law (a) to disqualify any participant; or (b) to modify, suspend, terminate or cancel the offer, as appropriate. Any cost associated with accessing the promotional offer website is the participant’s responsibility and is dependent on the Internet service provider used. Nothing in these Terms and Conditions limits, excludes or modifies or purports to limit, exclude or modify the statutory consumer guarantees as provided under the Competition and Consumer Act, as well as any other implied warranties under the ASIC Act or similar consumer protection laws in the States and Territories of Australia (“Non-Excludable Guarantees”). Except for any liability that cannot by law be excluded, including the Non-Excludable Guarantees, the Promoter (including its respective officers, employees and agents) excludes all liability (including negligence), for any personal injury; or any loss or damage (including loss of opportunity); whether direct, indirect, special or consequential, arising in any way out of the promotional offer. Except for any liability that cannot by law be excluded, including the Non-Excludable Guarantees, the Promoter (including its respective officers, employees and agents) is not responsible for and excludes all liability (including negligence), for any personal injury; or any loss or damage (including loss of opportunity); whether direct, indirect, special or consequential, arising in any way out of: (a) any technical difficulties or equipment malfunction (whether or not under the Promoter’s control); (b) any theft, unauthorised access or third party interference; (c) any entry/registration/booking that is late, lost, altered, damaged or misdirected (whether or not after their receipt by the Promoter) due to any reason beyond the reasonable control of the Promoter; (d) any tax liability incurred by a participant; or (e) use of a prize.